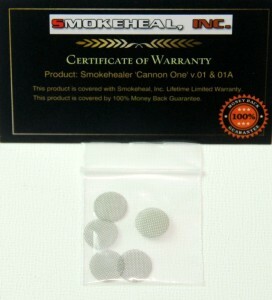 5 filters in a plastic package. 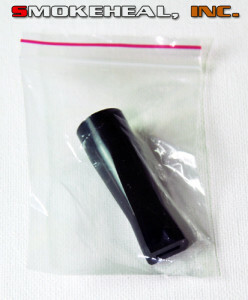 1 plastic mouth piece in a plastic bag. 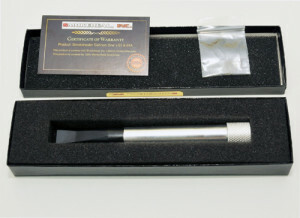 Smokehealer ‘Cannon One’ smoke cooling cigarette holder.